When do I take my engagement pictures for my wedding? Enough time for save the dates of course! 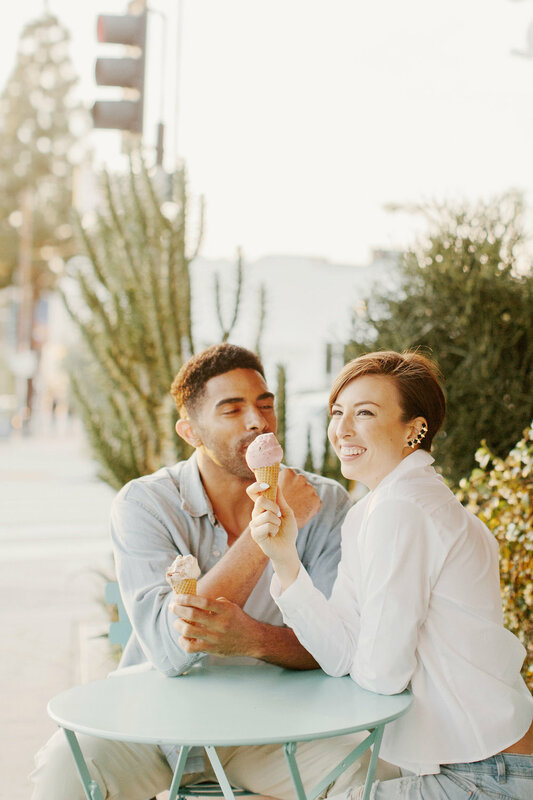 It is a general rule of thumb that engagement photos should be taken about 1- 2 months following the engagement. Before you can get too carried away with the wedding planning details, get those engagement pictures taken! From there, save the dates and the rest of the exciting wedding planning can commence. Engagement pictures are usually the first step following an engagement and are often the pictures that are used throughout the wedding journey. Need help putting together your save the dates? Check out our customized and themed options on our website! Next step, find that photographer! When to book your wedding photographer? Of course a wedding photographer is an essential part to a wedding, but when is the best time to get one booked for your special day? The common suggestion for that time frame is about 9 - 10 months prior to the wedding date. Make sure to spend a good chunk of time researching when looking for your photographer. It is a special day so make sure the photographer you hire’s vision and style is similar to your own. Your wedding was a beautiful success, but now what do I do with all my pictures? Thank you notes, calendars, photo books, anniversary gifts, oh my! The list goes on and on, but those are a few of the most popular uses of wedding photos. The first step after the wedding has come to a close is to send out the always important thank you notes. Mixbook is here to guide you through this whole process with our very own thank you cards. How about all of those beautiful photos from your special day? Make your very own Mixbook wedding photo book! Whether it is a Modern Wedding, Timeless Wedding, Rustic Chic Wedding or any one of our eye catching themes, find the perfect collection to capture your own wedding day.